Your credit scores are a tool lenders use to predict the risk of doing business with you. FICO credit scores specifically are designed to predict the likelihood that you will become 90 days late on any credit obligation within the next 24 months. When your credit scores are low, it can be tough to qualify for financing. You might even have trouble renting a place to live or purchasing reliable transportation for your family. If you do qualify for financing or leases with poor credit, the interest and fees you are charged can be very expensive. Ready to improve your credit scores and improve your life? Learning what makes up your credit scores is a crucial step. The final two credit report categories (Credit Mix and New Credit) are worth 10% of your scores each. Changes within these final two categories don’t have a huge influence over your scores when compared with other credit report categories. But you would be wrong to think they don’t matter. Both of these credit categories can still impact your credit scores. By extension, they can still have an influence over in the types of loans you qualify for and the interest rates you are offered. Credit Mix, worth 10% of your FICO scores, may be the most overlooked category when it comes to credit improvement strategies. If you have a good mix of installment accounts (e.g. mortgages, auto loans, and personal loans) and revolving accounts (e.g. credit cards), stats show that you’re less risky than someone who has experience managing just one type of account. What Matters in the Credit Mix Category? 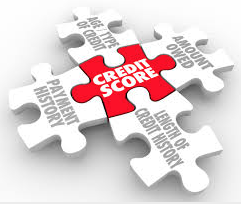 Additionally, FICO will consider the total number of accounts on your credit report. Be careful when trying to improve your credit within the Credit Mix Category. You could accidentally do more harm than good. You wouldn’t want to rush out and buy a home or vehicle simply to improve your mix of credit accounts. Yet strategically adding some types of accounts might be beneficial. 1. Consider opening a credit card account. If your credit reports don’t contain any revolving credit card accounts, opening a new credit card might be beneficial to your credit mix. Keep in mind, you need to manage your new account properly. This means you need to keep your bills paid on time and your balance paid off each month. If you don’t manage your new account well, it could hurt your scores instead of helping them. 2. Consider a credit builder loan. Do you have credit card accounts but no installment accounts on your credit reports? A credit builder loan might be a good way to add to your mixture of accounts types. Credit builder loans are small-dollar installment loans from local credit unions or online lenders. The lender holds your funds (aka the loan) in a savings account. The money is released once you make your final payment. Again, it’s important to keep all of your payments on time so the account has the opportunity to help your credit instead of hurting it. Feeling overwhelmed? You don’t have to face your credit problems alone. You have the right to hire a professional to guide you through the process and work on your behalf. Schedule a free credit analysis with one of our credit consultants today to learn more about how Financial Renovation Solutions can help you. CLICK HERE or call 214-856-0068 to schedule a free credit analysis with the Financial Renovation Solutions team now.